Inspiring students into STEM with EZ-Robot! Schools across Australia are embracing STEM as a core part of their curriculum by coming up with interesting ways to engage their students in science, technology, engineering, and mathematics. Carol Cartwright is a Technology teacher at the Knox School, Wantirna South, who is using EZ-Robot to facilitate STEM learning and Design Thinking. We spoke with Carol to learn about how STEM encourages her students to think outside the box and build confidence whilst learning. What is your EZ-Robot project? We are currently trialing a new course with our Year 7 & 8 students whereby the Technology, Art and Design program is focused on Design Thinking. Students in Year 7 will be rotated through the four facets of Robotics, Art, VCD and Media Arts. Students will experience one topic per term with sustainability being the core theme for each area. In Year 8, students are still rotated throughout the four areas of Technology and Design, but this takes place in one semester. The second semester provides students with the opportunity to apply the skills they have gained in independent inquiry-based projects they elect themselves based on sustainability. Students may choose within their projects to integrate all four areas together or focus on just one. 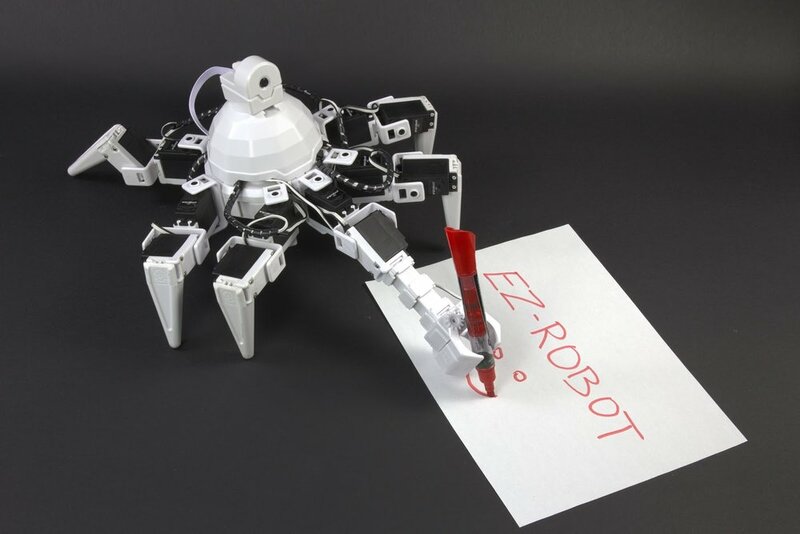 Which students are working with the EZ-Robots? The EZ-Robots are currently being used with the Year 8 students. Students have enjoyed interacting with JD and exploring the various auto position actions with the program. Blockly was an easy progression from Scratch for the students to program their robots. Very quickly, students were able to activate voice commands, use JD's camera for facial recognition and program the robots to speak. The robots have provided stimulus for communication and collaborative work within the classroom. Students who had never had the confidence to program before empowered and actively engaged, trying to get JD to do pushups and the YMCA dance. What does STEM mean to you? STEM to me is a means for engaging students to think and a key focus for our school. Our use of Design Thinking is to make our students more independent learners and thinkers. We believe we need to empower students with the ability to problem solve, build resilience and identify problems to solve. These skills are critical for the young people of today to prepare them for their futures. STEM, Design and robotics provide students with opportunities to equip themselves with these skills. Robotics make learning fun! My goal is to foster within students the love of learning, to not be afraid of challenges, to take risks and to think for themselves. We run workshops to show you how easily EZ-Robot can become part of your STEM program. For more information, see here. Older PostWant to test NAO’s programming? Webots is now Free for NAO robots!